Approval is based on your credit, rental history, criminal background history and verifiable income. 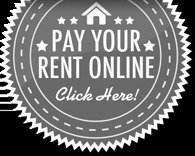 Gross income should be 3 times the market rental rate for the apartment. The application must be submitted, along with a State Issued photo ID and the $60 application fee. Typically, in 24-48 hours we will get an approval on the above requirements. Twenty-four hours after approval the security deposit is due. If, for whatever reason, you do not move in to the apartment on your move in day the security deposit is non-refundable.